Alana Bent of Lawrencetown captured the first annual Horticulture Nova Scotia Student Research Competition on Jan. 23. The plant science student’s research project in Truro led her to inter-seed rye grass as a cover crop in silage corn. The point, says Bent, is that the rye, which is a winter grass, grows later, reducing soil erosion after the corn is harvested in late September. The 22-year-old noted that the rye then has several uses for farmers such as forage or green manure. The Annapolis Valley native, who grew up on a dairy farm, knows that the bare, hilly fields of the Maritimes can be prone to erosion. 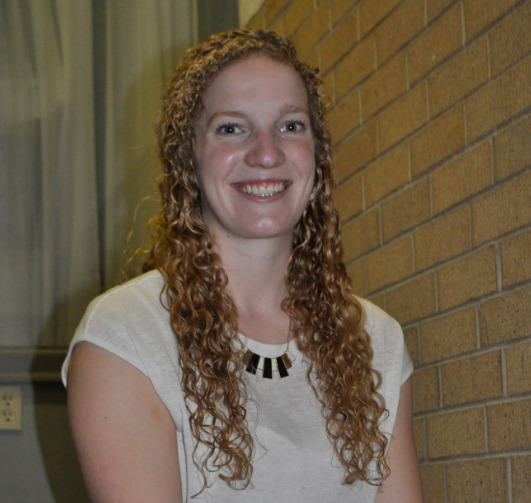 Bent began working on her research project last winter at the Dalhousie University Faculty of Agriculture, thinking through the concept and doing a literature review. She experimented this past summer and this fall her findings were presented and a research paper completed. A keen 4-H member and competitor in the Maritime Intercollegiate Judging Competition (MIJC), Bent ideally would like to return to the farm her parents operate. She would also be keen to plant science skills elsewhere in the Valley. “Four years away has made me really homesick,” she says of the Annapolis Valley roots. The competition brought her $500 and a plaque. An Atlantic scholar, Bent had her sister, Jen, precede her at the campus she and others call the AC. Her brother, Johnathan, is currently a student there. Bent took part in the Scotia Horticultural Congress Jan. 23-24 in Greenwich. With the theme, Building Blocks for Tomorrow’s Farms, speakers included a keynote address by Eddie LeMoine, Martin Latulippe, with greetings from Keith Colwell, Nova Scotia’s Minister of Agriculture.